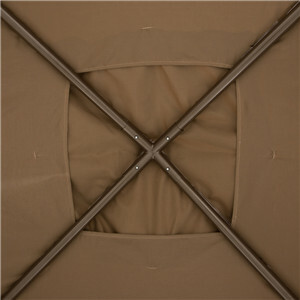 Abba Patio Canopy Gazebo is built with sturdy poles and double vented soft top polyester canopy is designed for long term use. Creating the perfect outdoor room for your patio set and adding more beauty to your backyard. 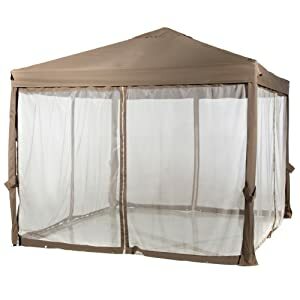 The mosquito netting is easy to install, easy to clean and durable, keeps you from disturbing of mosquitos and other insects and provides more privacy. 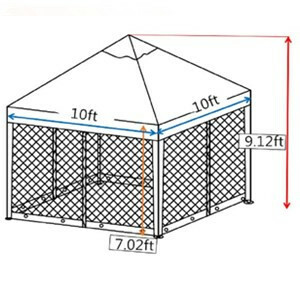 No matter what the sun and weather is up to with this gazebo, just enjoy your time outdoors.